At our offices in sunny Central Maui, we have a dedicated Reservations staff (yours truly included!) who are ready and happy to answer all your questions, concerns, and help you out however we can before, during, and even after your trip to Maui. 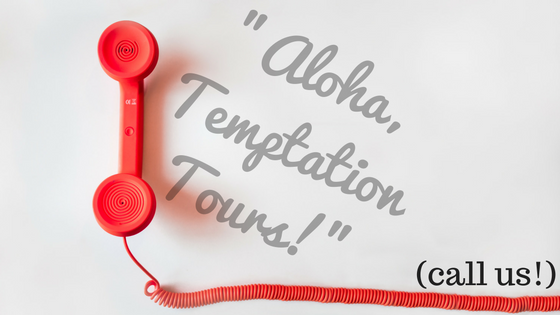 When you have questions before booking—whether they’re about our tours, other attractions, or just Maui in general—you can always give us a call to get the answers you need. 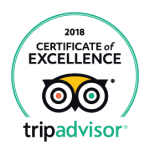 Sure, we’re experts when it comes to all our luxury Maui tours, but feel free to ask us about places to eat, drink, swim, and play while you’re here! Everyone on our staff is a long-time Maui resident, and we’ll give you the very best inside information that you can only get from a Maui local. When you’re already on Maui, and booked for a tour, you may need further details to ensure you’re 100% set to embark on your luxury Maui adventure. If you’re wondering what to wear, bring, or remember before your tour, our phone lines are open! You’re also welcome to call us to double-check your confirmation details, or get driving directions to the heliport, right up until your departure time. Whoops—notice you’re missing something after your tour? 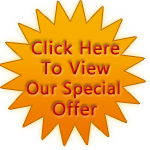 Call us, and we’ll do our best to locate it for you! We’re also always thrilled to take your post-tour comments, compliments, concerns, or suggestions, and will ensure that your message meets the right ears. We can also assist you with post-tour curiosities (“What was that tree we saw? And what was that beach called?”) as best we can, and if we’re stumped too, we’ll ask your Hawaii-Certified Tour Guide! Of course, there are plenty of other channels by which to reach us—email, Facebook, Twitter, and more!—but sometimes, you just want to talk to a person! That’s why we’re here! 1-800-817-1234, or locally at 808-877-8888. Talk to you soon! 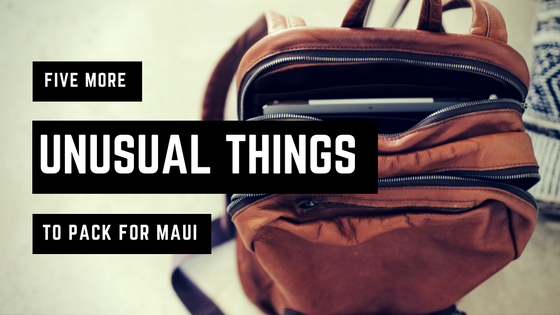 We’re positive you’ve double-checked your packing list before heading out, and maybe you’ve even scoped out our previous list of some unusual items to bring with you to Maui. Today, we have five more items that you might never think to pack with you for your Maui vacation! Some of you are probably thinking, “Of course I’ll bring a map book with me! How else am I supposed to get around?” The rest of you are thinking, “I don’t need a map book! I have my smartphone!” This tip is for the latter half of you! Sure, your smartphone can navigate you just about anywhere, but if you’re on a part of the island without service, or if you’ve left your car charger in the hotel room, you might find yourself literally lost in paradise. It’s a great idea to have a nice set of Maui maps to toss in your glove compartment as soon as you pick up your rental car. If your tech fails, you’ll have no problems kickin’ it old school while exploring the island. Even if you won’t be toting prescriptions with you, you might consider bringing a few pill containers with you, and marvel at how useful it will be during your trip! Use it to store earrings, hair ties, and other small items that you don’t want lost in the bottom of your carry-on. Toss a few empty ones in your luggage, too, and use them to store tiny seashells and other Maui treasures! For some folks, dry shampoo is a necessity of life. For others, they’ve never even considered it. It’s a great idea to pick up a can before your trip, and use it to freshen up before dinner after a long journey, or to go from pool mode to happy-hour mode in just a few minutes! It also might help your hair keep a little life and hold in the humid Maui weather. One rule of hotel rooms that always holds true for me: there is always exactly one fewer outlet than I need. Between my makeup mirror, laptop, several cell phones, tablet, and ereader, well, I need a LOT of things to be charged! Power strips come in handy in giving you all the outlet real estate you need, and also offer the added bonus of keeping all your gadgets in one spot—easy to grab and go for a day out, and when you’re (sadly) heading home. While you’ll be packing your warm-weather gear for most of your time on Maui (except maybe your Haleakala Sunrise tour), you might want to consider tossing a pair of cozier pajamas in your suitcase as well. Maui’s weather might be hot, but your hotel’s air conditioning will probably be working well—and you’ll want to snuggle up and get a comfy night’s sleep! They’ll also be great for lounging in your room with a glass of wine and a favorite movie during your stay. For extra credit, throw in a pair of fuzzy slippers with your PJ’s and enjoy some serious lounge-time every night! 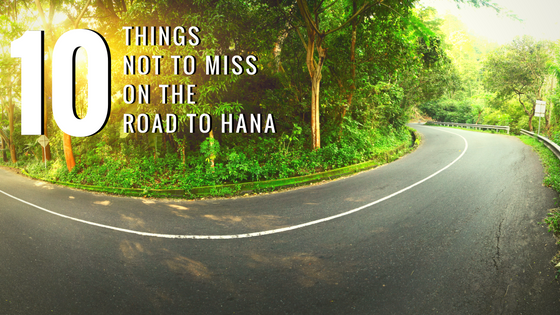 If you’ve never traveled the Road to Hana before, you might be overwhelmed with everything you need to see along your journey. Here’s ten things to keep your eyes open and camera ready for on Maui’s most famous highway! 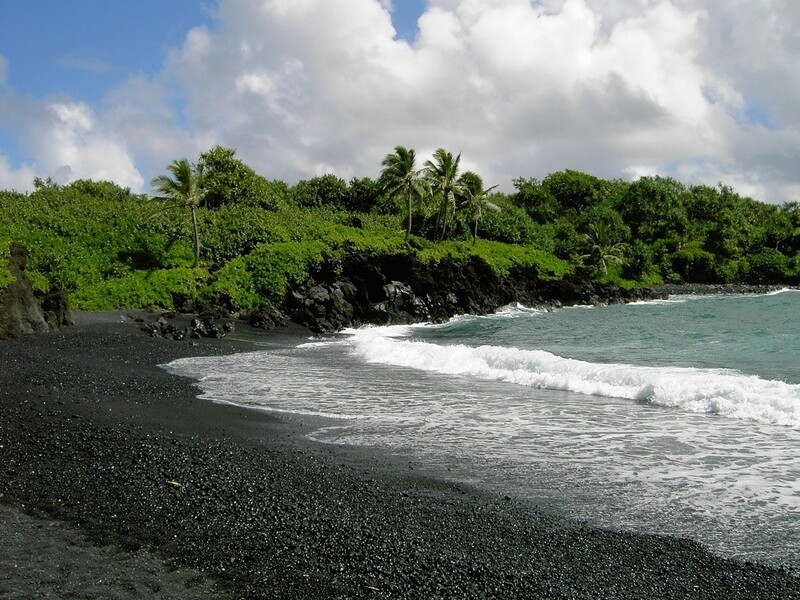 Black-Sand Beach: While the pristine white sand at the beach near your resort may be postcard-perfect, there’s something so unique and special about the jet-black sand at Wai’anapanapa. Rainbow Eucalyptus Trees: You’ve just gotta see these amazing trees in person to get a sense of their beauty! The paper-thin bark peels away to reveal gorgeous colors in the wood. Waterfalls: Well of course, this one’s a no-brainer, and you’d have to be snoozing to miss all the amazing waterfalls that can be seen on the Road to Hana! Check out Waikani Falls, Pua’a Ka’a, and Hanawi, just to name a few! Lava Rocks: Of course, most rocks on the island are lava rocks, but you should be sure not to miss some of the really incredible, jagged, dramatic lava rocks at Ke’anae Peninsula! Fruit: On the Road to Hana, be sure to see if you can spot mangos, coconuts, liliko’i, guava, and more growing in the rainforest! Your Tour Guide can point out which fruits are native, and which ones may be invasive. Flowers: Keep your eyes peeled for some incredible flowers along the Road to Hana, some of which can only be found in Hawaii! 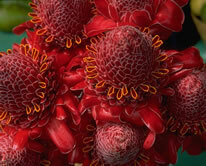 Heliconia abound, as well as flowering ginger, passion flowers, and more! Road-Stands: Not only are you going to see fruit and flowers growing wild along the road, you’ll also see them curated at road-side fruit and flower stands peppering the Road to Hana! Some are staffed, with their owners there to help you choose your treats, and others are on the honor system, with a box for money attached to the stand—and yep, it works! Caves: While you might decide to make a stop at the Ka’eleku Caverns, you’ll be sure to see other smaller caves nestled in the mountainside during your drive. Mongoose: These ferret-like critters aren’t native to Hawaii (they were introduced over a century ago, as an attempt to control the rat population), but they’ve made themselves at home in East Maui. Be sure to have your camera ready when you see one, because they’re super quick! Rainbows: There’s a famous saying in Hawaii: “No rain, no rainbows!” While you might experience some rain during your Road to Hana adventure (after all, it’s called the rainforest for a reason! ), you’re quite likely to be rewarded for getting a bit damp with a stunning rainbow during your journey! 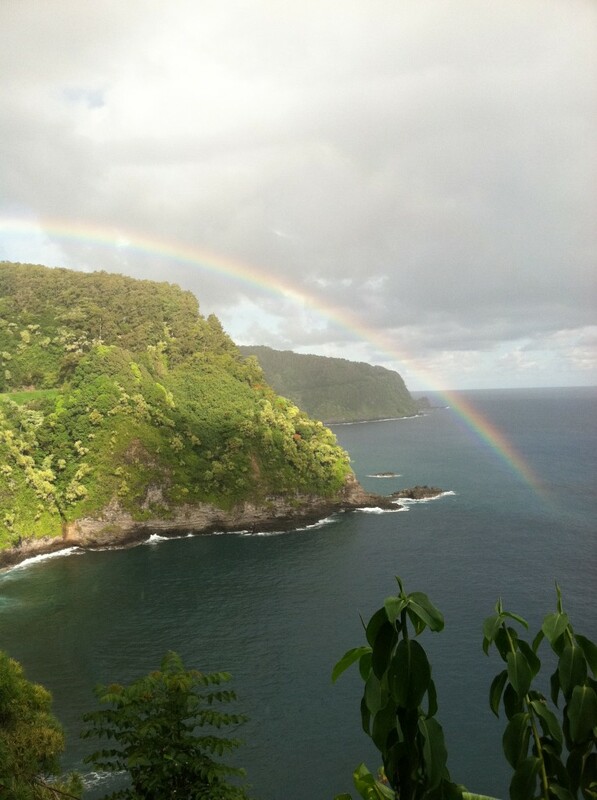 Who needs a pot of gold when you have the Road to Hana, and all the treasures to be found there! 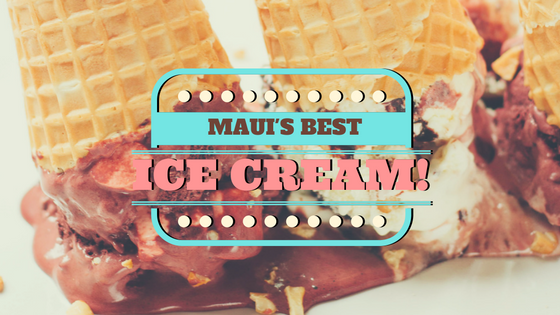 This relatively new ice cream shop in Lahaina can be found in the Lahaina Gateway Center. If your idea of ice cream is flavors, flavors, and more flavors, this is the spot for you! Prepare to take a few minutes just perusing their amazing creations for the day, and good luck making a decision! If you need to, there’s a six-scoop sampler bowl that you can share with friends! If you’re going this time of year, seek out their pumpkin pie flavor, or indulge in some of their local favorites, like liliko’i cheesecake, guava, or even coconut poi! Everything in the shop, from the ice cream to the cones, is hand-made, and you can taste their dedication to using only the best ingredients for their decadent desserts. You can’t take a trip to Hawaii without making a stop at a Lappert’s location! On Maui, you’ll find them in both Wailea and Lahaina. This iconic Hawaiian ice cream brand was started in Hanapepe on Kaua’i, and now can be found on every island! Our favorite flavor is, of course, “Heavenly Hana,” a Hawaii-fied version of rocky road that features—wait for it—white-chocolate covered macadamia nuts! Lappert’s takes pride in each and every flavor that they make in small batches at their factory on Kaua’i, as well as their Hawaii-grown coffee served in all of their shops! For that old-fashioned ice cream parlor feel with a Hawaiian twist, Lappert’s is the place to be! This adorable, light, airy shop located on Hana Highway in the heart of Paia is the perfect place to stop for an afternoon treat of freshly-made gelato. Their flavors change seasonally, but there’s always a gelato or a sorbetto (dairy-free and vegan!) to suit any tastebuds. Their stand-out unique flavor has gotta be the Liliko’i Quark, made with local liliko’i and goat cheese from Surfing Goat Dairy! Need a more serious dessert fix? Grab one of their pints to take with you back to your hotel, and enjoy it throughout your stay on Maui!